Meghalaya is hosting a “friendship jam” to raise money for Kerala flood victims. An artiste collective called MOX – Movement of Expression — is organising the event in Shillong’s Mellow Mood Café on August 25 next. The evening will feature Shillong-based artistes such as Banrap Lyngdoh, Shank Jay and MOKSH, Kingdom Culture, etc. A report published in the The Indian Express stated that in Arunachal Pradesh’s Changlang district, a group of students from the Newman School Neotan performed a “flash mob” of sorts in the middle of a market on the morning of August 22 last to raise funds. Reportedly, many came forward to donate money on the spot itself. The students are planning similar “performances” in other parts of the State too. The report further stated that till now, Manipur has donated a sum of Rs 2 crores, Arunachal Pradesh and Assam have announced Rs 3 crore, Tripura and Nagaland Governments have donated Rs 1 crore as financial relief for Kerala. 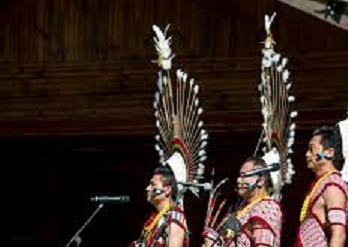 It may be recalled that the Northeast Now had carried a report that on Friday (August 24) Heritage, a hotel in Nagaland’s Kohima is expecting a crowd of at least 1,000 people for a concert organised to raise funds for Kerala. ‘Nagaland 4 Kerala’ — an initiative by the Rattle and Hum Music Society of Nagaland, in collaboration with the Nagaland Government — is a free-for-all concert where the State’s popular musicians will perform: The Tetseo Sisters, Lords of Rock, Colored Keys, Ethnic Future and Rattle & Hum Band. “This is an effort to complement the efforts the Nagaland Government is making for Kerala,” says Neingulie Nakhro, executive member, Rattle and Hum Music Society of Nagaland. On August 18 last, the Nagaland Chief Minister (CM) Neiphiu Rio announced a relief of Rs 1 crore for flood-hit Kerala. While the concert is free, there will be donation boxes, kiosks and booths where people can contribute. “Our main aim is to raise funds so we are making the process as simple as possible. We will also have facilities for people who want to transfer through QR codes at the booths,” says Nakhro. At the beginning of the month, Nagaland had experienced intense rain that had triggered landslides and floods across the districts of Wokha, Kohima, Dimapur and Zunhebot — more than 4,000 families were affected. “But things are okay now, and we want to do all that we can to help Kerala,” says Nakhro. “The nice part is that all the musicians as well as anyone who is even remotely involved in this concert — the venue, the sound and light people, etc — have not charged a single rupee,” adds Nakhro. The group has done extensive social media promotions to spread the word.